CHICAGO (Reuters) - A northern Illinois policeman who officials said committed suicide while concerned about an audit that would have exposed his embezzlement tried to arrange for the killing of a local administrator, the Associated Press reported on Thursday. 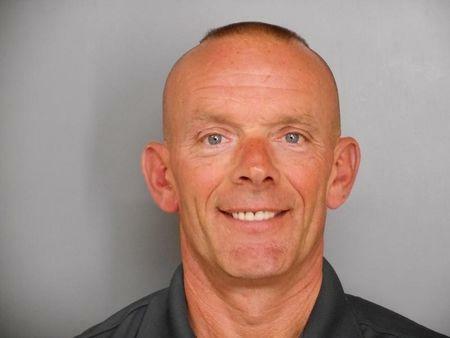 Fox Lake Police Lieutenant Charles Joseph Gliniewicz sent a text about the hit last April and asked for help arranging a meeting with a high-ranking gang member, the AP reported, citing Lake County Sheriff's Detective Christopher Covelli. The AP also cited Covelli saying that investigators found packets of cocaine in Gliniewicz's desk, and recovered text messages in which he mentioned the possibility of planting something on the administrator, Anne Marrin. Covelli did not immediately respond to requests for comment. The widow and a son of Gliniewicz are under criminal investigation, according to media reports. Melodie and D.J. Gliniewicz are being investigated in connection with the embezzlement of funds from the Explorer program that Gliniewicz ran, the Fox TV affiliate in Chicago reported. Gliniewicz, 52, was found dead on Sept. 1 after reporting that he was investigating three suspicious people. His death prompted a massive manhunt for murder suspects and made national headlines. Gliniewicz was initially described as a hero and was a decorated, 30-year veteran of the police department in Fox Lake, a quiet town about 60 miles (100 km) north of Chicago and near the Wisconsin border. On Wednesday, however, authorities said that the officer committed "a carefully staged suicide" as officials began an audit that would have exposed his embezzling public funds. Covelli said on Thursday he could not confirm or deny reports of Gliniewicz's wife and son being under investigation because the probe was ongoing and could result in prosecution. The investigation of Gliniewicz's death "strongly indicates criminal activity on the part of at least two other individuals," Lake County Major Crime Task Force Commander George Filenko said on Wednesday. Representatives for the Gliniewicz family did not immediately respond to a request for comment on Thursday. Officials on Wednesday released text and Facebook messages from Gliniewicz's cell phone. In one June 25 message to "Individual #2," Gliniewicz said: "You are borrowing from that 'other' account, when you get back you'll have to start dumping money into that account or you will be visiting me in JAIL!!" Ballistics testing found two gunshots were fired at close range, Filenko said. Gliniewicz aimed the first shot strategically toward his bulletproof vest and the second underneath the vest. There were no signs that Gliniewicz had fought for his life, and the officer, who was experienced in setting up mock crime scenes, left a staged trail of police equipment to mislead officials into believing there had been a homicide, Filenko said. Gliniewicz also was previously accused of sexually harassing a fellow police officer, Denise Sharpe, according to a complaint filed in federal court in 2003. The case was dismissed by the circuit court because Sharpe's attorneys failed to follow discovery rules.